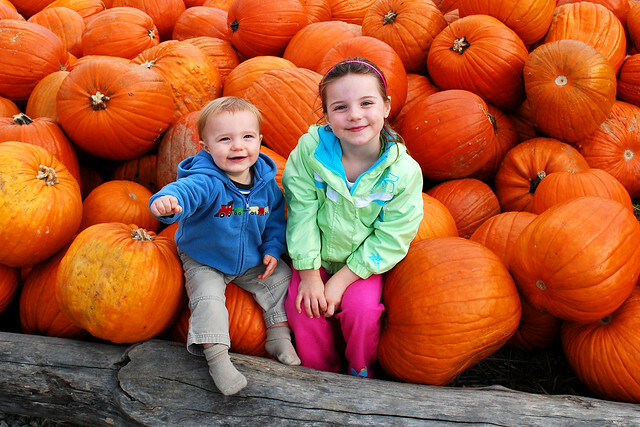 Evy and Brandon are still enjoying autumn. We've had picnics and visited playgrounds and jumped in leaves. To prep for Halloween they both climbed on the pumpkins at Trax and then got in the car to check out the fall festivities in the middle of the state. LOTS more pictures of fall are on Flickr. ...turned nine and a half.